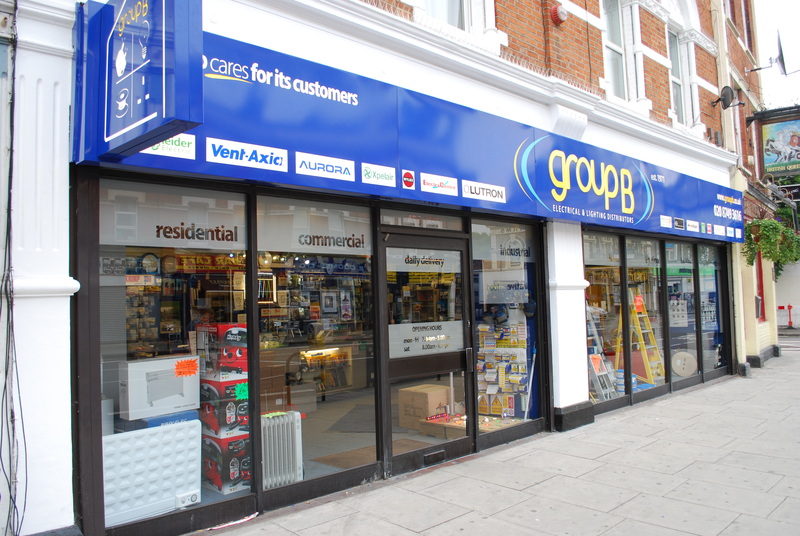 For the last 40 odd years Group B have been your local electrical distribution and lighting supplier based on the Uxbridge Road next to the British Queen. We’ve been supplying everything electrical and lighting at competitive prices and with excellent service. In layman’s terms that means everything from cables & tools and fans & heaters to bespoke indoor and outdoor lighting design and light bulbs for electricians, contractors, businesses and the general public. We’ve been polishing up our brand and expanding over the last 5 years and now it’s time to let everyone know we’re here! Pride! Many ABN members will remember Bevan’s Builders Merchants yard in Percy Road from the 1930’s to the 1990’s. All of the Bevan families who lived and worked in the street have moved on or departed, apart from David Bevan who is the constantly present MD of Group B, proud son of Fred, previous MD, and grandson of Ben Bevan, a “colourful” character and founder of Bevan’s all those years ago. The Bevan’s have a rich history in Shepherds Bush. Uncle Frank Bevan played for QPR. Nanna Bevan ran the yard, shifting bags of cement by shoulder, whilst Ben and the men were at war. Group B cares for it’s customers. We are currently trying to raise our profile locally again just like Bevan’s did all those years ago. So we would love to work with a local contractor, or charitable body on a project that benefits the local community and incorporates electrical elements. Locally, we supply electricians and contractors, housing associations, hotels, private homes etc. etc. Friendly, knowledgeable staff and good stock holding. We belong to a buying group that gives us buying power to compete with the bigger national wholesalers prices too. We are just in the process of creating a lighting display in the window which we hope will encourage people to come in and realise their indoor and outdoor lighting aspirations. We’re also building up our website www.groupb.co.uk but it’s work in progress! Come in! 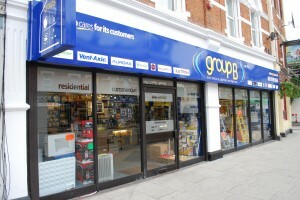 www.groupb.co.uk. 0208 749 3616. Brand Visibility. We are working on this by looking at ways to raise our profile and standing in the area, our market, and on the internet. Where do you think your business will be in 5 year’s time? Continuing to provide the same quality products and service, but further afield. 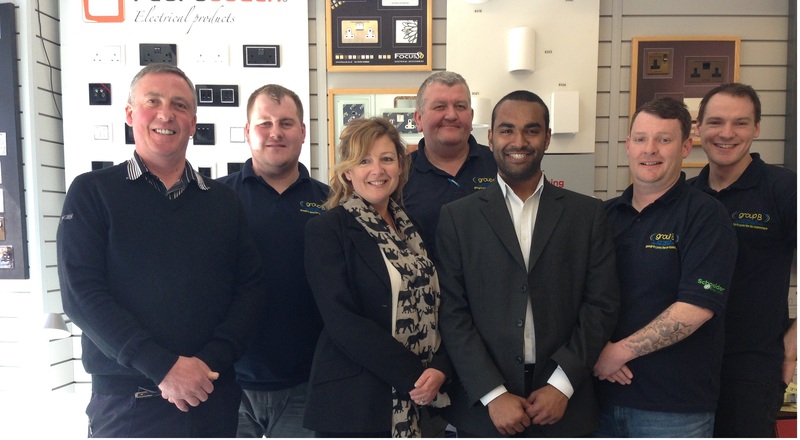 We opened our Fulham branch in 2013 and are looking at further expansion. Definitely. I wish we’d joined earlier. I never used to know much about it as always had my nose to the groundstone in Uxbridge Road, but ABN has opened my eyes to a plethora of friendly and unique businesses that I look forward to exploring. Hopefully still quite quirky with maybe an annual event to celebrate the area and put it on the map. I don’t know yet, but look forward to finding out. There certainly seems to be something for everyone. I would love to have an afternoon to explore. Until I get that afternoon shopping experience – Cake me Baby. Their article in last month’s ABN Newsletter has had me yearning for the opportunity to have a deliciously different “naughty” cake made. I’ll come back to you when I’ve had that shopping experience!